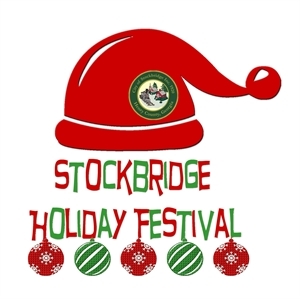 Description The highly anticipated, City of Stockbridge Holiday Festival will be held Thursday December 6th from 5pm – 9pm @ The Merle Manders Conference Center & Clark Park (Stockbridge). We welcome again this year Santa Claus and his Reindeer, The Holiday Train that rides families around Clark Park, Live Entertainment from local Elementary Schools, Group performances from Touch of Class Dance & Twirl, K-Piano Honor Band, Boogie “Wonderland” Band, Brother Witness Band, a Kid’s decoration workshop and much more! Cookies and Hot Chocolate will be available for EVERYONE! Stockbridge Holiday Festival to your free online travel itinerary.